Around a month ago, I was told The Explorers Club would be releasing their first new material in over four years. Freedom Wind, their 2008 debut, has been a personal favorite of mine since its release, and I assumed the band had split after years of inactivity. So when frontman Jason Brewer e-mailed me last month to tell me that they’ll be releasing a new album in 2012 called Grand Hotel, I was excited to say the least. My feature said as much. Not only was Grand Hotel on the horizon, but the South Carolina-based group also announced the release of three mini-suites to preclude the album, all for free on Amazon. The Californian Suite was released last month (stream “Weight of the World” here), and now The Carolinian Suite is available. Download it for free here. I’d post it here if it wasn’t an Amazon exclusive. Each suite features one cover and two originals, labeled “under construction cuts” because they’re not the final mixes. Beach Boys producer Mark Linett is currently working on that. 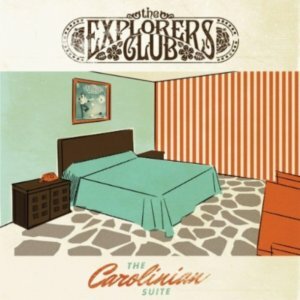 The Carolinian Suite features a cover of Classics IV’s “Stormy” along with two originals, “Sweet Delights” and “It’s No Use”. I’m particularly fond of “Sweet Delights”, a breezy pop gem featuring acoustics, keys, and a moog-ish bass that would sound at home on The Beach Boys’ Love You. All three songs are exceptional though… it’s safe to say Grand Hotel is easily one of my most anticipated 2012 albums. Stunning cinematography. Also, you can see my head reflected in the window.